Three items from the Polish Zoharum label which, for a change, don’t feature Polish artistes; instead, one Swede, two French, and a clutch of aliased Belgians…all below from 15 October 2017. Jarl is Erik Jarl, a Swedish creator of electronic music of darkish hues. Did note him many years ago with Parallel / Collapsing, a fairly monstrous item on the Segerhuva label (an imprint I tend to associate with loud power-noise blasts). That was 2003. Since then releases have been seeping out on labels such as Autarkeia, Annihilvs, and Abisko. Today’s record Negative Rotation / Intensive Fracture (ZOHAR 152-2) compiles two of these overlooked gems from his back catalogue, originally released on hard-to-find cassettes. 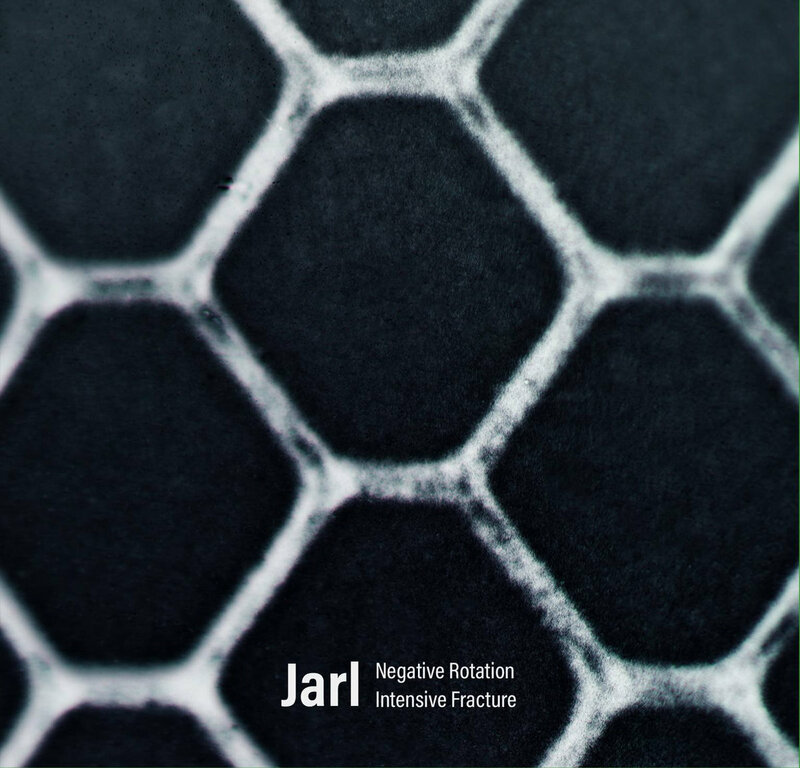 Negative Rotation is quite early, recorded in 2000-2001 and released in 2007. 11 episodes of pulsing, humming, droning materials; the label finds it “cold and monotonous”, but I disagree. What they call monotony I call focus; Jarl manages to fixate on an idea or theme once found, and doesn’t let it slip for 4-5 mins. Powerful teeth he must have. I also like the way it’s unpolluted by “atmosphere”, which so many of these Polish Zoharum label-mates seem to thrive on in their quest to frighten the listener; Jarl simply lays it out how it is and may be edging towards a “clean” mode of sound art. On the other hand, I can see he’s a shade too industrial for inclusion in the Firework Edition stable. This reissue contains two bonus cuts, for them as keeps a score of this. Second disc in the comp is Intensive Fracture, a 2005 release which may be the more enticing of the pair for thrill-seeking listeners. Though he still does a lot of the “cold Nordic wind” rushing effects with his processed buckets of noise, he gets pretty aggressive with the echo machine on Part 4 and creates a mighty bombast of crushing weight, threatening to turn into chaos any second. Part 1 is pretty zany too, a lot more “free-form” in the uncorked swooping and dive-bombing swallows (equipped with bee-stings) mode. Three bonus tracks (again with no obvious connection to the original record) have been slapped onto the package, of which 2014’s ‘The Great Moloch’ is a sinister goodie of slowly-creeping menace, promising a painful death (eventually). Out of my depth with the record by Hybryds, a Belgian collective combo of people with funny names making avant-techno dance stuff whose output is frequently labelled as “ritual music”. Matter of fact they certainly use the word “ritual” lot in their titles, and The Ritual Of The Rave (ZOHAR 151-2) is no exception. Work dating from the early 1990s seems to situate them with the rise of various techno and rave scenes of which I know less than zero; I think Psychic TV flirted with this scene too; a more informed writer calls Hybryds “tribal-industrial”, which seems a reasonable epithet. There is an odd underground magazine called Datacide of which I sometimes receive copies, and the writers there are utterly convinced of the transformative / transgressive powers of this music of which I am so wholly ignorant; they see it as a force against authority, but also suggest the self-hypnosis of loud and powerful rhythms creates more psychic energy than we are prepared to admit, making rave music and its audiences a potentially serious threat to organised society. All things considered, I enjoyed this more than I thought I would. 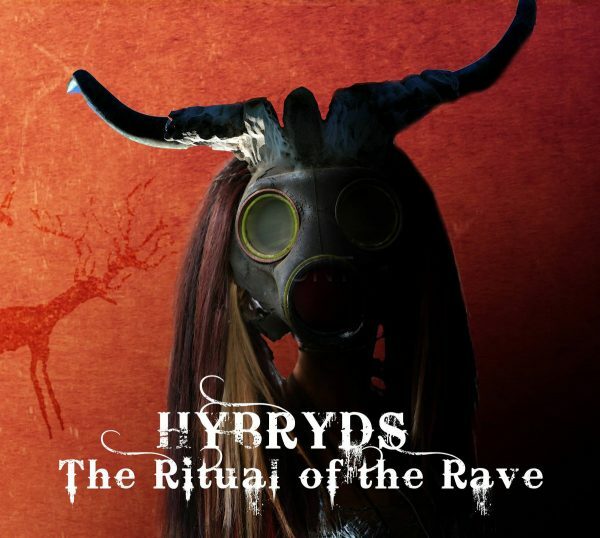 The Ritual Of The Rave double CD set is an expanded edition of a 1995 album and contains plenty of “ethnic” elements and sophisticated cross-rhythms, closely allied to ingenious electronic music, looped phrases, ambient-ish tones, and certain industrial flavours. Plus they sustain all this over long extended tracks that are presumably intended to baptise many initiates into the true path. What struck me is how much of the music is almost totally free from the clichés of this genre, which is not a claim that many post-Acid House “tracks” can make. Perhaps it’s because the Hybryds were sensible enough to keep things simple and focussed, and these unfussy and uncluttered productions have an appealing user-friendly dimension. I normally run a mile from any music invoking “shamanism”, but this did not outstay its welcome. The set is bolstered with a second disc of live tracks, unreleased items and compilation stuff, including their earliest recordings (from 1988). 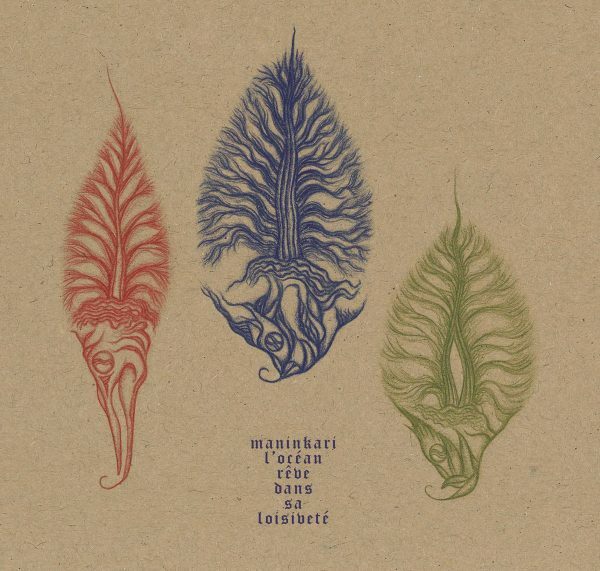 Maninkari are two French guys Frederic Charlot and Olivier Charlot who wilfully play archaic and obscure instruments, such as cimbalom and zantoor. But they also play conventional strings, percussion including the Bodhrán frame drum and marimba, and even some synthesizer. Highly distinctive sound they emanate, for a kick off. 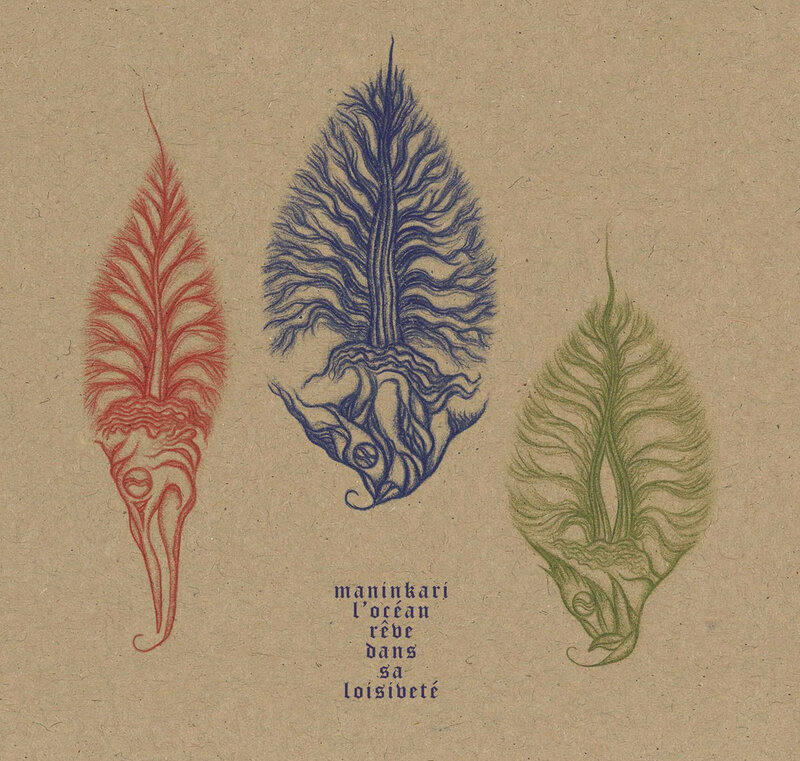 Their work is half composed, half improvised, and L’Océan Rêve Dans Sa Loisiveté (Second Session) (ZOHAR 153-2) is a continuation of a series of pieces that began in 2014, released on a Swiss label. To align them with La Breiche, those French weirdoes who play hurdy-gurdy and shawm in support of their hideous vision of plague-ridden Europe, would be going too far; but then they’re not quite as mannered / poised as Pierre-Yves Martel with his very precise viola da gamba playing. Instead we have a commitment to steady exploration of tones and timbres, creating vaguely trance-like fugues with simple repetitions. The percussion element is especially strong, an acoustic drum lulling us into a dreamy state with insistent rocking rhythms, and its interplay with the teetering viola / cello playing is highly effective. While not terribly “dark” in tone or malicious in intent, neither is this album particularly reassuring, and I can see how its brow-furrowing temperament sits well in the context of this label.